Does your bra rub against your skin? Not with mySKIN! Does your bra rub against your skin? Preventative skin protection + care for everyday life! Your new companion for both day and night. With nurturing argan oil and vitamin E.
Chafing on the inside of you thighs? Not with mySKIN! Chafing on the inside of you thighs? 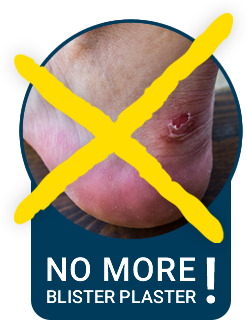 Blisters and chafing on your feet? Not with mySKIN!